Event Planners all want to be responsible for championing the event of the year, the decade or even the century! We dream of raking in the gratitude of the client and basking in the adoration of the event attendees who recognise you as the pivotal point of the events wow-factor (accepted humbly and with grace, naturally). Starting with an empty conference or function room and transforming it to host an event of note takes some imagination. But no matter the selected venue, in the end, it is the little things that end up making all the difference. There are many venues to select from, so take some time to run through the pros and cons of the shortlisted venues. A competitive rate, quick turnaround, some pieces of available furniture and free WiFi, should not be the selling points, rather expect these as standard. Consider that the venue is merely the starting point of the journey to event hosting greatness. Look to create distinct areas to break up the floor space of the venue. Use décor props, furniture and colour to create these areas. A few things that will help with the wow-factor are creating areas for setting a few themed scenes. This may be an area to properly greet guests and make them feel welcome, and area to serve welcome drinks or issue welcome packs (don’t cheap out on the goodies in the pack). Dress up these areas to attract the and hold the guest's attention. Get those social shares ticking over as guests take and post selfies with your backdrops, complimentary drinks, well-presented food and decorated areas. The success of the event will ultimately be decided on social media. Give guests a reason to want to whip out their phone and start snapping and sharing. Think of what will make people want to take pics. 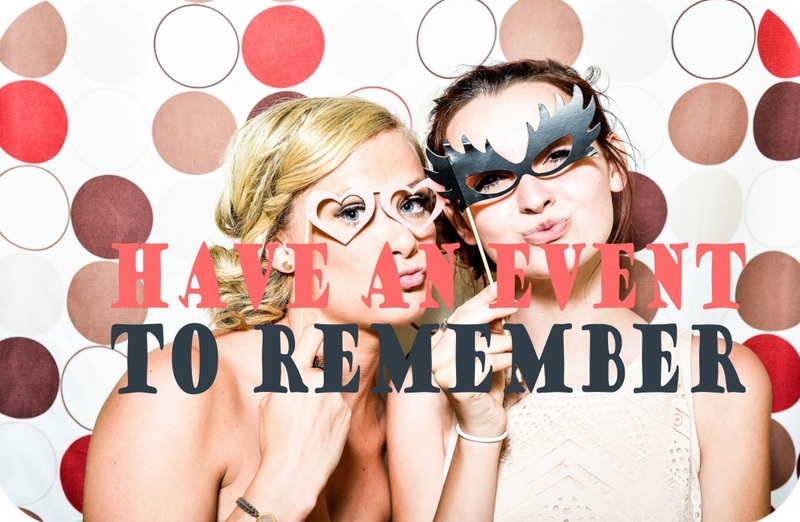 Anything from few choice goodies in the gift bag, delicious looking food, some fancy dress props or a photo booth, choice décor and lighting will all set the scene for some great looking posts. Visit our Décor Warehouse for a wide variety of Décor items that will create the perfect statement for any type of Event. We also do dry hire, concept design and mock-ups at the venue of your choice.